Jiayu S3 Plus CM13 (CyanogenMod 13) Marshmallow Custom ROM is an UNOFFICIAL Android Marshmallow build for Jiayu S3 Plus (device codename: n560a). This jiayu S3+ CM13 (CyanogenMod 13) ROM is brought to you by developer Rohan 007 and karthick111. Current status of this ROM is UNKNOWN. It is strongly recommended that you take either a NANDROID backup or a complete sync of your phone data. Here is a Jiayu S3 Plus Android Nougat ROM. If you are interested to try then you can have a look on that. Stay tuned or Subscribe to the Jiayu S3 Plus forum For upcoming Android Nougat ROMs, CyanogenMod Custom ROMs, other ROMs and all other device specific topics. Make sure that you have unlocked the bootloader and installed a custom recovery on your Jiayu S3 Plus (device codename: n560a). If not then you can try this generic Bootloader unlock guide for any Android device. Download and Copy the GApps and Jiayu S3 Plus CyanogenMod 13 ROM ZIP to your phone. Reboot and Enjoy the CyanogenMod 13 Marshmallow ROM on your Jiayu S3 Plus. 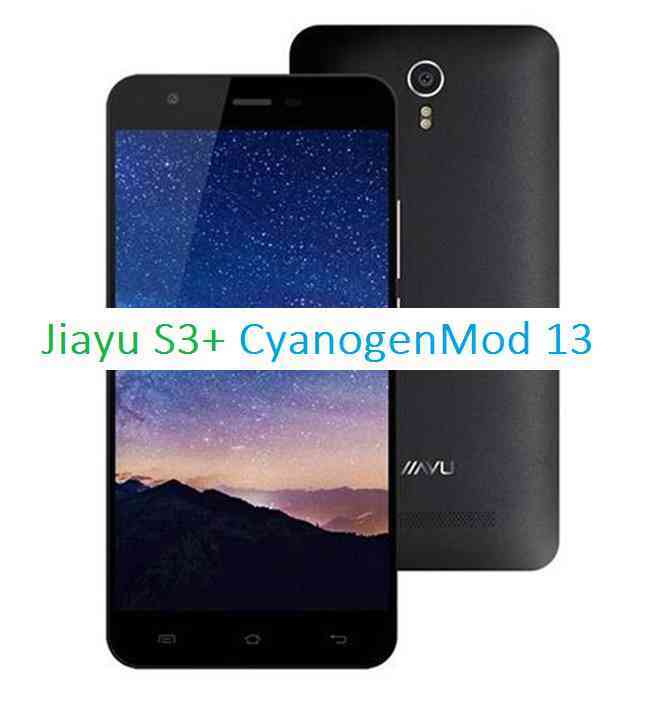 Copy the Jiayu S3 Plus CyanogenMod 13 ROM ZIP file to your phone. Stay tuned or Subscribe to the Jiayu S3 Plus forum For other Android Nougat ROMs, CyanogenMod 14 ROMs, other ROMs and all other device specific topics.